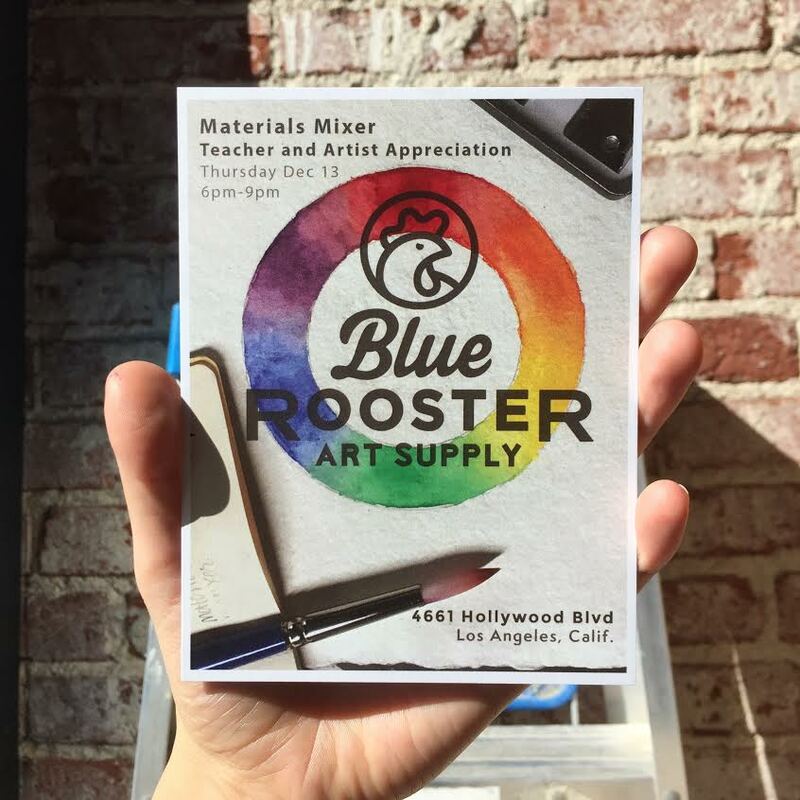 Stay in the loop of what's going on at Blue Rooster here, past or present! From art pop-up events to product demonstrations to parties, you're invited. Everything listed goes from soonest to furthest away in date. Events are free unless otherwise stated. Don't want to have to keep checking back here to get the latest scoop? Join our email list to get the latest about what’s happening on the Blue Rooster front! We promise not to spam you, just emails about sales, new products, and events! Hosted by the same human who curates the pop-ups that happen in our backspace from time-to-time, Noah Harmon/Relax Adult is back with No Bozos Drawing Night on Saturday, April 20th from 6-9PM! If you’ve ever been to a drink and draw, this is similar with a BYOB (bud + beer) and bring your own supplies policy! If neither of those are your thing, that’s totally fine, we’d still love to draw with you. 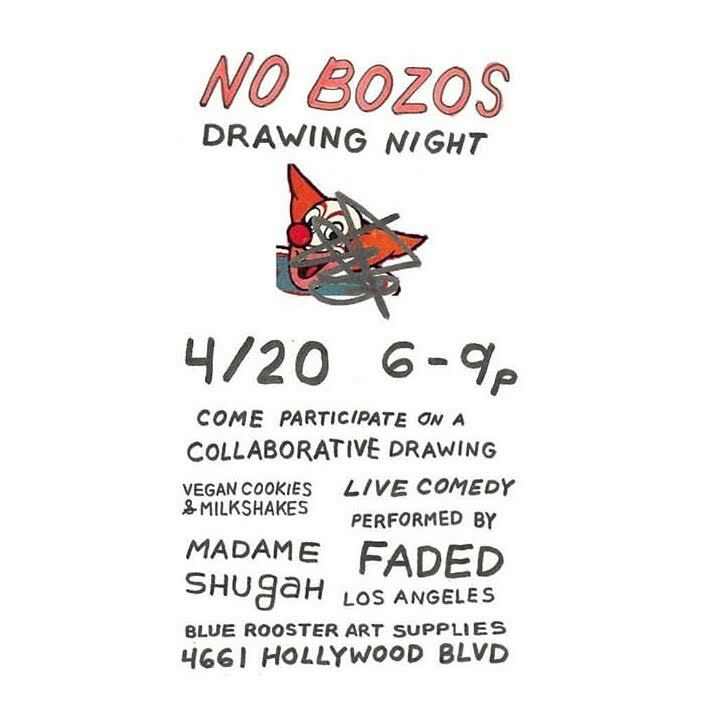 Cartoons will be curated by TV Dad, live comedy by Faded Comedy, and Madame Shugah will be bringing vegan cookies and MILKSHAKES. This is absolutely free to attend but there is limited seating! To ensure you’ll have a spot at this drawing shindig, RSVP at nobozosdrawingnight@gmail.com. We're sixteen years old! Come celebrate with us by taking an extra 25% off of everything in our store! Online too! We appreciate you supporting our small, independent business so we're honoring an old Blue Roo tradition by having anyone who spends $20+ play a game that results in winning more art supplies regardless of the outcome. We'll also be bringing out extra deals on items we don't normally stock just for the sale. 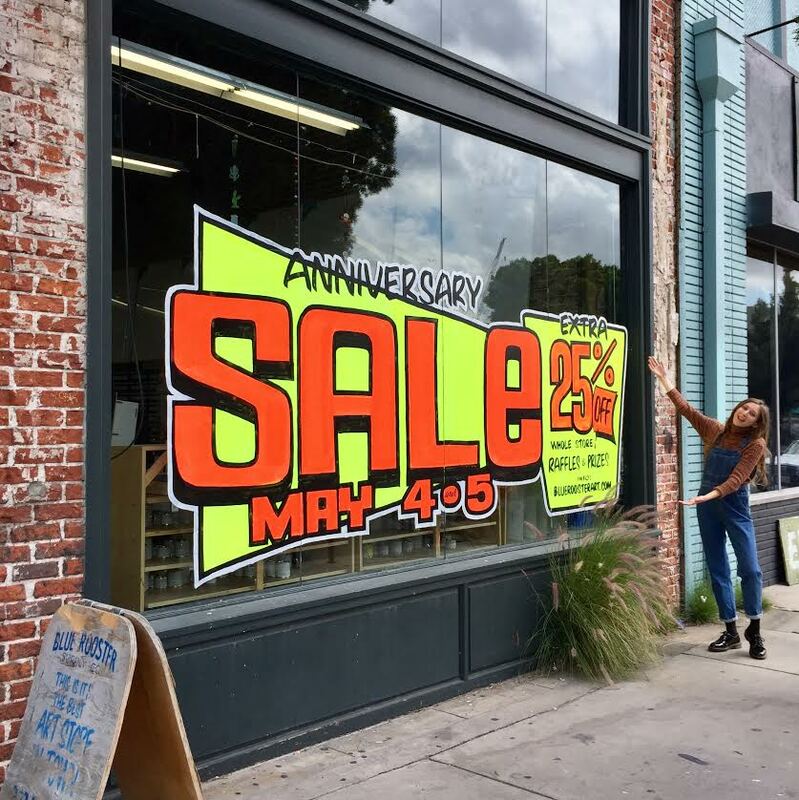 Outside of the sale madness, we'd also love to connect with you all so on Sunday, May 5th we're planning a drink and draw party with more details to be released at a later date! Who says comedy and art supplies can't mix? 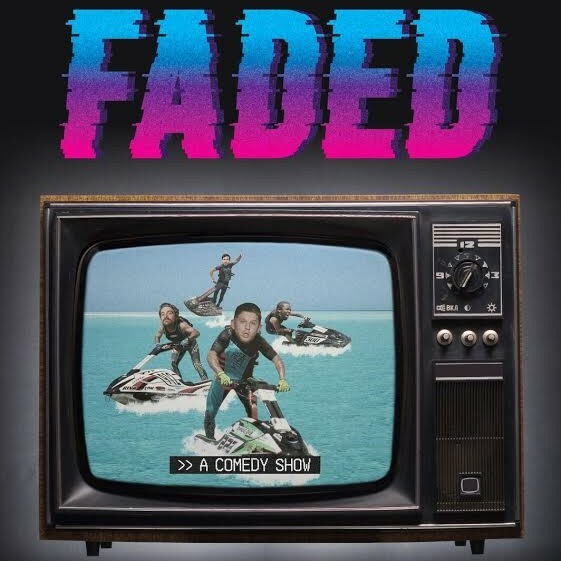 Stop by on Friday nights and check out Faded, a new comedy show starring David Gborie, Sean Jordan, Mike Mulloy, and Zak Toscani. Worried you'll get bored? They've thought ahead, inviting a surprise comedian to their show every week so things always stay fresh. Buy tickets here. Their shows will run through November with a quick break in December! Dates of their return will updated in January after the holiday season. Can't make it to Faded on Fridays or just can't get enough of these comedy shows in general? On every second Saturday, we have On Deck Comedy in our very own backspace! What're they all about? They put on a stand-up show consisting of pitting two teams of three comics against each other and seeing who can destroy the other with humor first. Buy tickets for their event here. 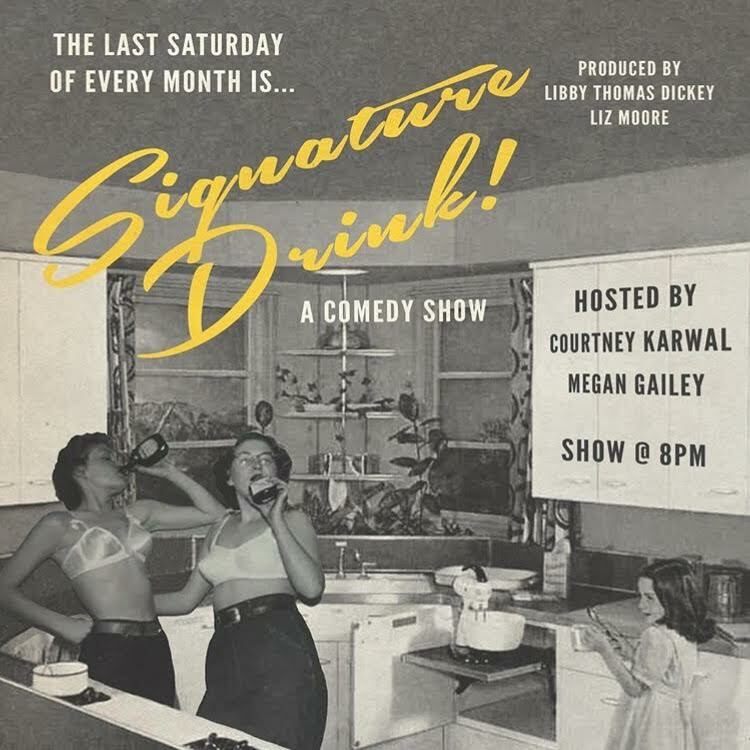 Every last Saturday of the month is Signature Drink! Produced by Libby Thomas Dickey and Liz Moore and hosted by Courtney Karwal and Megan Gailey this is a 100% run women's comedy night! 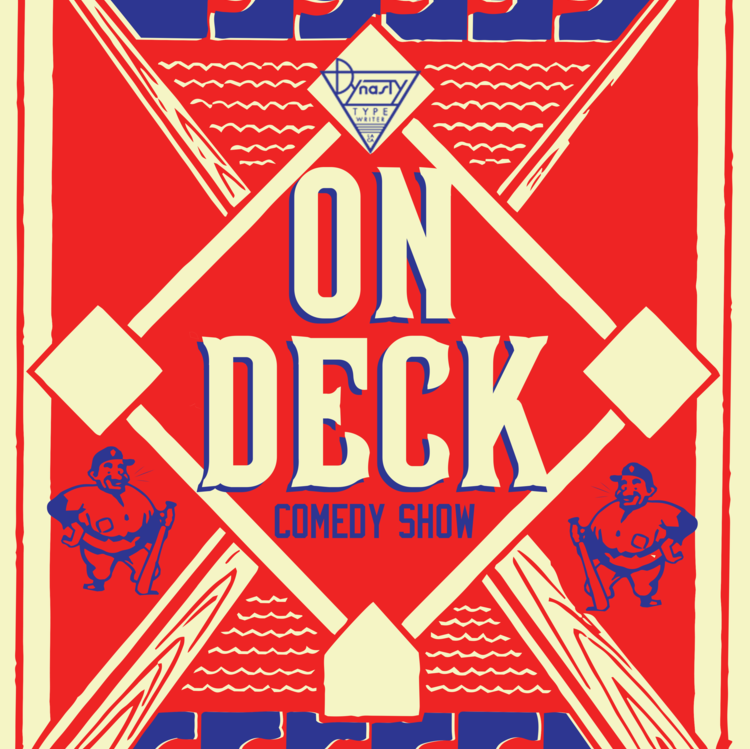 Presenting new comics and featuring new cocktails every month ensures this show never gets old. Tickets are $12 and can be found here! 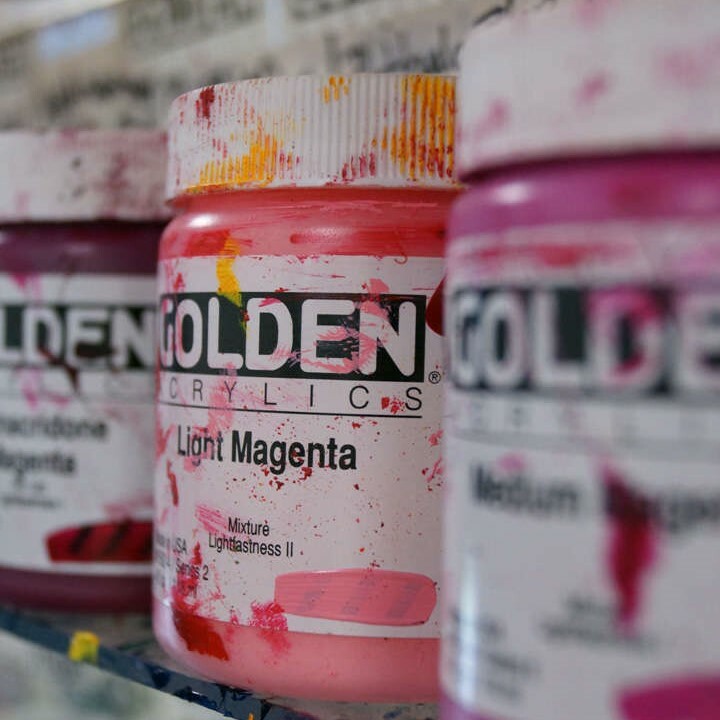 This lecture-demo presented by Golden Artist Colors and artist Christina Ramos will be a fast-paced, highly informative lecture covering a technical review of acrylic and their varied application possibilities. You’ll be presented information regarding pigments, viscosity, gels, mediums, and more directly from the source of this artist quality paint company! The world of acrylic paints and mediums is quite extensive with boundless possibilities for use. To list a few that’ll be covered specifically in this lecture, you’ll learn how acrylics can be used as grounds for other media, such as watercolor or colored pencil; key information regarding color mixing, blending, and controlling drying time; and, lastly, you’ll see how gels can be used to modify paint properties or create textural surfaces. From traditional to contemporary to mixed, acrylics are infinitely versatile. Artists of all levels will leave this lecture with broadened insights on how to feed their creative expressions. All attendants will receive free product samples and a literature packet, including hand-painted charts. Space is limited, so RSVP here to claim your seat! The Noah Harmon + Friends pop-up is back! Gather around for a single night of art, food, + tunes all made from the hands, hearts, and minds of your local LA artists! 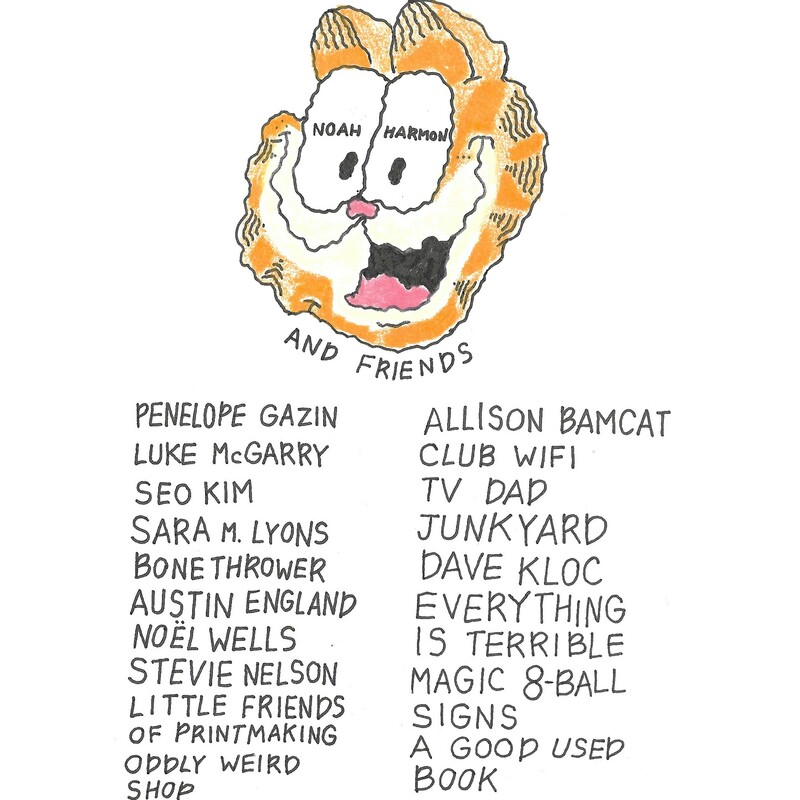 Over 20+ artists will have booths filled with their creations for you to peruse, here's a peek at who'll be there: Penelope Gazin, Luke McGarry, Seo Kim, Sara M. Lyons, Bonethrower, Austin England, Noel Wells, Stevie Nelson, Little Friends of Printmaking, Oddly Weird Shop, Allison Bamcat, Club Wifi, TV Dad, Junkyard, Dave Kloc, Everything is Terrible, Magic 8-Ball Signs, A Good Used Book, and the artist/curator of this event himself, Relax Adult (Noah Harmon)! A couple of artists will be doing live painting, East Los Musubi will be here dishing out the tastiest snacks, and Pop Noir will be making tunes! Our bi-annual materials mixer is slowly creeping up, have you RSVPed? For those looking for a casual environment sprinkled with fellow professional creative types, you've found it. We want to get to know you a little better, your creative process, and your endeavors in the industry or in teaching. But most importantly, we want to create an atmosphere where you can connect with like-minded individuals. Invite your colleagues and artist friends for a night of getting acquainted with others and learning a thing or two about what everyone else has been up to. Join us for a FREE night of drinks, food, and (what we imagine will be) damn good conversation. RSVP here and we'll see you soon! It's that time of the year again... time for another HUGE Blue Roo sale! How huge?! Everything in the entire store will be 20% off! Little items and high price items alike! So if you're finding you blow throw markers and pens, this is a perfect opportunity to stock up. Have you been in the market for some handmade oil paints or easel but know the price of quality can be intimidating? Perfect time to strike! We wouldn't dream of subjecting you guys to a sale without a little extra on top as we love to go the extra mile in the name of magical experience so if you're one of the first 50 customers of each day who spend $25 or more, you'll receive a lovely cluster of assorted art supplies and samples in a hand-dyed and hand-printed Blue Roo for free! Get your list order or get some holiday shopping out of the way! Whether you're just starting to dip your toes into watercolor or you're a diehard Daniel Smith watercolor admirer, this event will be packed with useful information regarding how they hand-make their paint, their philosophy behind it, the minerals used in their Primatek line, and how to bring out the most in their colors. Watercolor will be free-flowing after a 30 minute informative lecture, where you can really get a feel for it yourself. This event will be free and everything will be provided for you, so invite a friend if you please. RSVP to guarantee a spot here! Duration: September 8th; Time to be announced! Tiffanie Mang is coming back for a two day gouache painting class! This class will take place both indoors, where she'll go over all of the key points to gouache, how to make a palette, and how to mix and shade color, and outdoors, where you'll work on painting landscapes. Her extensive painting career, such as being an avid plein-air painter and having worked on projects like Loving Vincent, make her a solid artist to learn from. This event is $265 and requires you to bring your own materials. Occupancy is limited to 20 people to ensure everyone gets the proper amount of one-on-one guidance, so if you're interested feel free to pay for your spot in-store until we get our web option up! Stroll on through to our summer pop-up shop filled to the brim with the creations of your local LA artists! Find no shortage of arts, food, or music here. 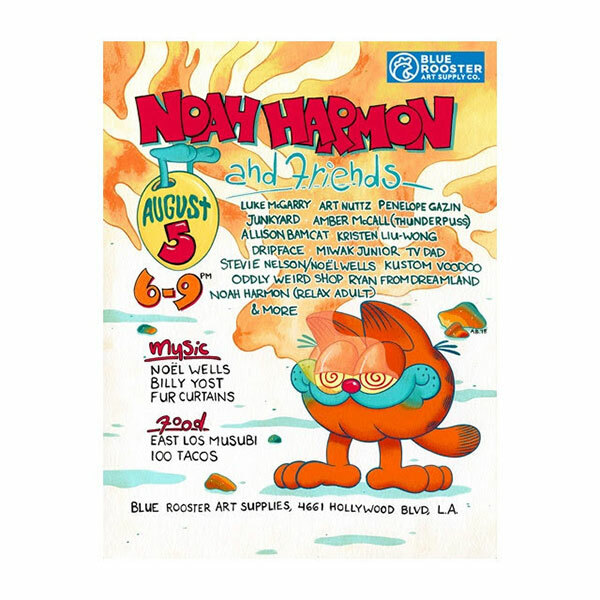 Art Vendors:Penelope Gazin, Luke McGarry, Amber McCall (Thunderpuss), Allison Bamcat, Kristen Liu-Wong, Junkyard, Dripface, TV Dad, Miwak Junior, Kustom Voodoo, Oddly Weird Shop, Stevie Nelson, Noel Wells, Ryan from Dreamland, Noah Harmon (Relax Adult), + MORE. Music: Noel Wells, Billy Yost, and Fur Curtains. Food: East Los Musubi and 100 Tacos. This is FREE, of course. So invite your friends + come hang! 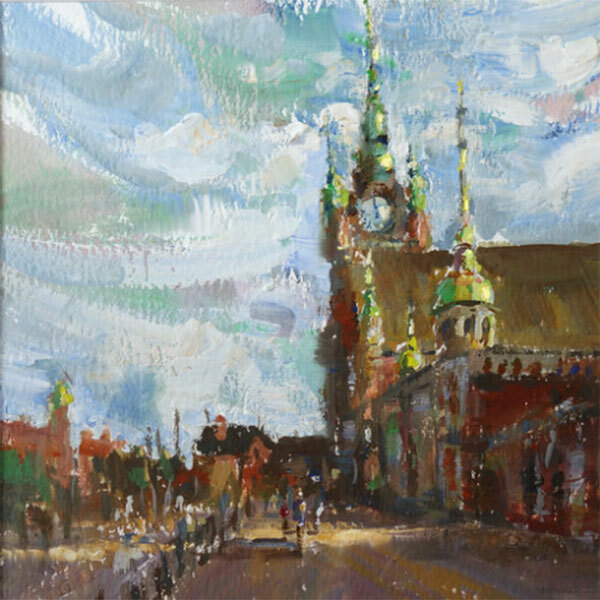 Ever look at the work of plein-air artists and wonder how they’re doing it? What their secrets are? Well this if your chance to find out and get it right from the Warrior Painters (your local LA plein-air painting group) themselves! This three hour plein-air get together is completely free and open to the public and will take place at Barnsdall Art Park right up the street from us. The Warrior Painters are fully equipped to help you get introduced to painting outdoors and are stocked with all kinds of information and techniques to share with you! You will, of course, have to bring your own supplies, whatever medium you wish to work with, but in exchange the experience and knowledge you’ll receive will be invaluable. This is part one of our all day long painting extravaganza! For something a bit more intensive scroll down below. This event is completely free but you must bring your own supplies! Recreate the human form and portrait in gouache with Kirk Shinmoto! You'll be walked through several exercises and Kirk will share his own techniques he's gathered through years of experience with you as you apply them to working with a live model. Struggling with lighting, proportion, foreshortening, or maybe even realism in general? You're guaranteed to walk out leaving with a sense of better understanding with this highly informative and hands on workshop. This event is $60 and requires you to bring your own materials. Occupancy is limited to 15 people to ensure everyone gets the proper amount of one-on-one guidance, so if you're interested book your spot here! Attention sculptors and those interested in the like! We're excited to have the talented John Brown in our store for an open demonstration on sculpting the detailed features of the face and head. 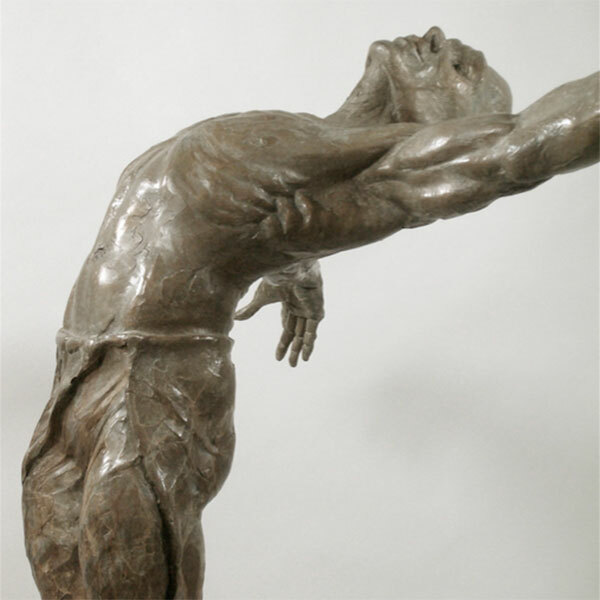 In this three hour demo, he'll be walking you through his process and showing you how he carves out proportions, liveliness, and depth from a block of clay so you can hopefully do the same. Make sure to bring a pad of paper and a pen to jot down some notes. 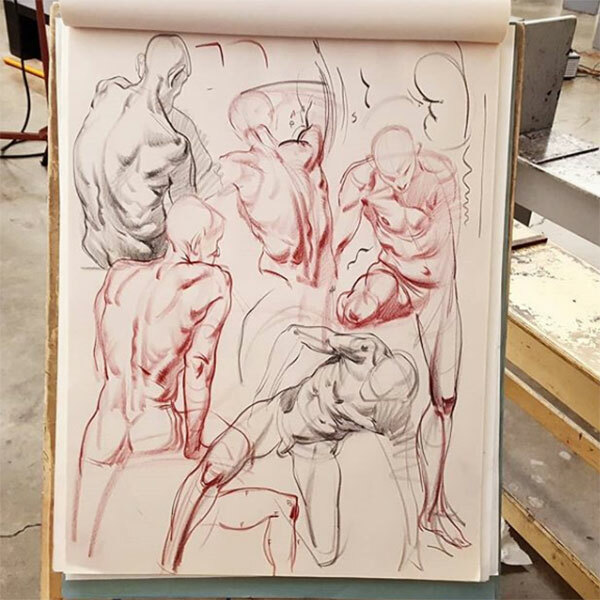 This demo is, also, right after our weekly figure drawing class! So if you're ambitious, feel free to join both, or for the regulars feel free to stay and watch. This event is completely free and no supplies are needed! Intrigued by gouache and looking to gain some guided experience with it? Maybe you have the experience, but you're just looking for a new perspective by someone well-versed in it. 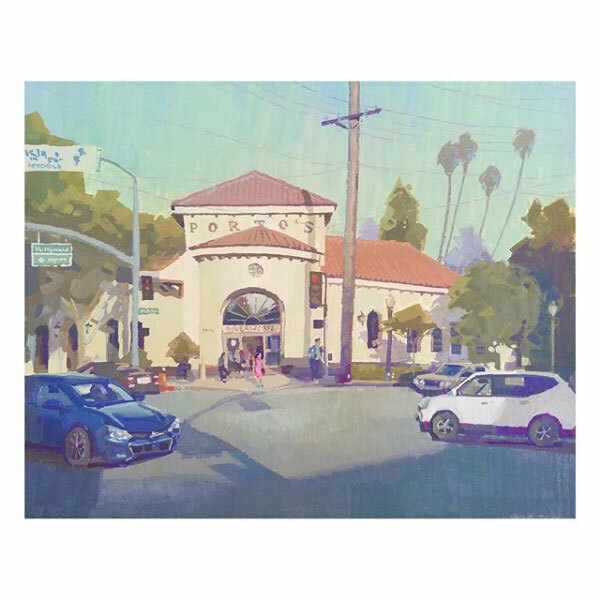 Either or, this demo is highly informative and led by the master of plein air gouache painting herself, Tiffanie Mang! In this workshop you'll learn the strengths and characteristics of gouache, how to set up a palette, and how to work with it. This demo does come with a $20 fee but in exchange for that we'll give you a $20 gift certificate to use in store while we hand the fee right on over to the artist teaching you about these great paints! All materials will also be provided for you, so just be prepared to bring your brain and your curiosity to learn. As stated above, this event is $20 with all materials provided! Book your spot here! What's that thing called again? Where you can drink, draw, and dance? And no one judges you? It's called Sketch Party! Typically run by our pals Ken, Alex, and Kris at the Hyperion Tavern, we're thrilled to be hosting them for their five year anniversary of holding sketch party. The more the merrier, it should be one heck of a shindig! Bring your favorite markers and pens, your good attitude, and your dancing pants and we'll provide the rest! This is a single day workshop with Bill Fick of the Department of art at Duke University in North Carolina and Carlos Hernandez of Burning Bones Press based in Houston, Texas laying down the fundamentals of screenprinting and relief printing. The instructors of this workshop will be none other than two humans who have truly mastered the art of printmaking. 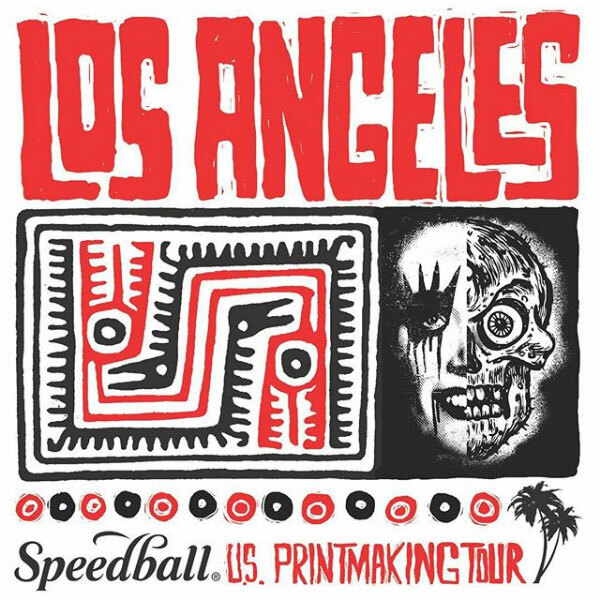 Speedball Inks is sponsoring this event and making it completely open and free to the public so invite your friends or anyone who you know with a curious mind for printmaking! RSVP to guarantee a spot for the workshop here! Time to celebrate two years of being in our Hollywood location! Long-time regulars know how our previous location on Vermont was a fraction of the size of our current one and how far we've been able to come all thanks to you guys. It's been 15 years as an independent business run by artists for artists and here's to celebrating the years to come! As a big, fat thank you for your support come take 20% off the entire store for the weekend, in person and online. Hand-dyed and hand-printed tote bags filled to the gills with art supply samples and goodies will be given out to the first 50 customers who spend more than $50 on each day as well. Tote bags with feature art works by two local LA artists, Mel Kadel and Allison Bamcat. On every second Saturday, we have On Deck Comedy in our very own backspace! What're they all about? They put on a stand-up show consisting of pitting two teams of three comics against each other and seeing who can destroy the other with humor first. 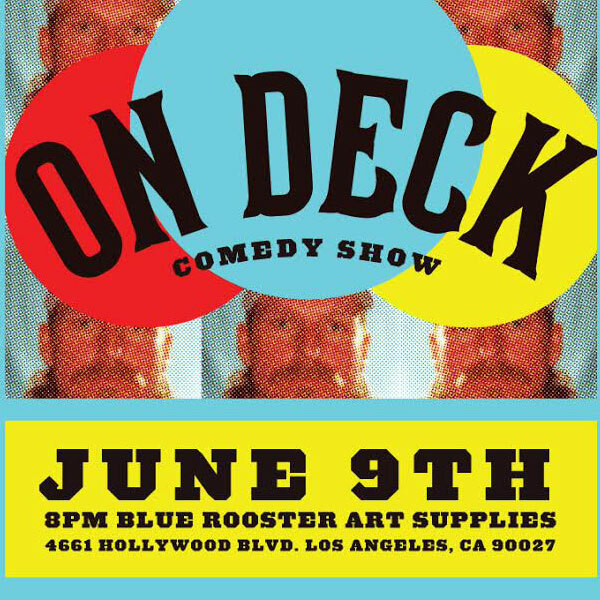 Saturday, June 9th will be their very first show with us and we're happy to have them! Buy tickets for their event here. 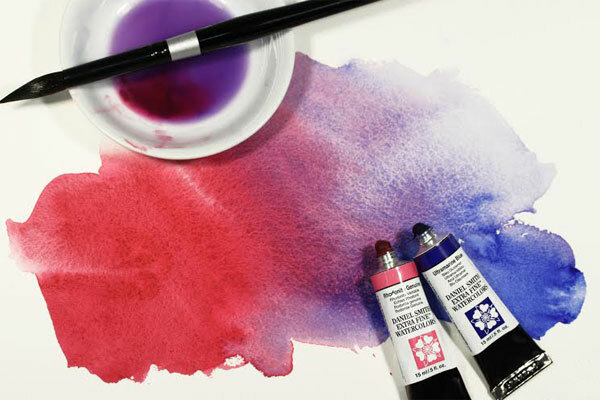 Swing on by and come delve into the colorful world of M. Graham Artist Colors with us! Particularly their Northwest blackberry honey based gouache and watercolor. A representative will be here to spread the word on what makes their paint different from all the others and walk you through all the details. Don't be fooled though, this isn't all talk and no play! How else are you supposed to see firsthand what their paint is all about unless you're given the chance to try it for yourself? You'll find plenty of paints to test out and experiment with! This event is completely free and open to the public, so feel at ease inviting friends! The workshop is a one day workshop.